MLT Aikins has many decades of experience working with our clients in the Canadian and international mining and natural resources sector. We’re a leading player in the potash, uranium and gold industries in Canada; our broad practice is global in scope. We take great pride in delivering creative, cost-effective and timely advice to our clients, playing a key role in assisting them to complete complex transactions, drawing on the extensive abilities of our team members. the acquisition of the company by an international mining group, including all corporate, securities and related litigation matters. its $4.3 billion acquisition by the Toronto and New York Stock Exchange-listed Canadian mining company, including all corporate, securities and related litigation matters in Canada and the United States. its $15 million initial public offering on the TSX Venture Exchange, its graduation to The Toronto Stock Exchange, its issuance of U.S.$500 million of senior secured convertible debentures to the sovereign wealth fund of the People’s Republic of China (including a co-operation agreement to assist in the continuing development of the company’s coal projects in the Republic of Mongolia), its $459 million global equity offering and its secondary listing on the Hong Kong Stock Exchange (the first interlisting of a Canadian mining company on the HKSE and the first listing on the exchange by any Canadian company in conjunction with a stock offering). its $700 million acquisition by plan of arrangement of a TSX Venture Exchange-listed Canadian company and financing of its copper-gold mine, also in British Columbia, including the negotiation of a US $311.5 million goldstream transaction with a NASDAQ and TSX-listed U.S. mineral royalty and streaming company, and a $132 million equipment financing with a major U.S.-based construction equipment manufacturer. its graduation from the TSX Venture Exchange to the Toronto Stock Exchange, its U.S.$1 billion global equity offering and its primary listing on the Hong Kong Stock Exchange (the first dual primary listing of a Canadian mining company on the HKSE). a U.S.$3 billion tender offer by the company and its partners for shares of common stock of a major New York Stock Exchange-listed U.S. corporation. Represented a New York Stock Exchange-listed United States public company in connection with the acquisition of all the Canadian mineral exploration properties of the Canadian mineral division of a major TSX- and NYSE-MKT-listed Canadian energy company. 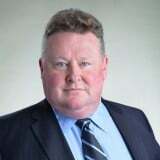 Represented a Canadian private company in connection with the development of its platinum properties in the Republic of South Africa, the acquisition and development of its copper properties in the Democratic Republic of Congo, and its $300 million initial public offering on the TSX. 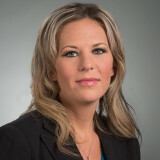 Represented Canadian-based uranium companies in connection with the negotiation of various uranium joint venture agreements and amendments thereto, including the Cigar Lake Joint Venture. 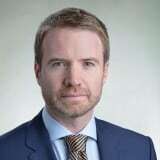 Represented a TSX-listed Canadian mining company in connection with its negotiation of a joint venture with one of the world’s leading mining groups in respect of a diamond exploration and development project in Nunavut. 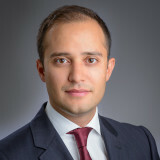 Represented a Canadian private venture capital company in connection with the acquisition, exploration and development of interest in various mineral properties in Myanmar, Indonesia, Mongolia, Venezuela and Papua New Guinea, and the acquisition of joint venture interests (industrial minerals), Liaoning Province, People’s Republic of China. Acted for a major publicly-traded mining company listed on the Toronto Stock Exchange on a mining joint venture arrangement in Australia and a corporate reorganization of certain mining and mineral interests. Represented a TSX- and NASDAQ-listed Canadian public company in connection with the acquisition, exploration and development of interest in various mineral properties in Venezuela, including the negotiation of joint venture agreements. 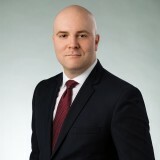 Represented a major TSX-listed Canadian mining company in connection with an Australian mining joint venture arrangement and a corporate reorganization of mining and mineral interests. Represented a corporate joint venture among Saskatchewan’s principal potash producers, one of the world’s two largest potash marketing and logistics organizations, in connection with $140 million and $250 million issuances of senior unsecured notes. Represented Canadian and U.S. underwriters in connection with an aggregate of $375 million of public offerings and private placements for four TSX-listed Canadian public companies. 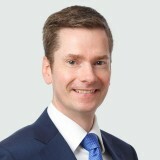 Represented three TSX-listed Canadian natural resource companies in connection with an aggregate of $330 million of institutional private placements and public offerings in Canada, the United States and Europe, and the subsequent qualification of the private placement securities for resale in Canada and the United States. Represented a New York Stock Exchange-listed U.S. public company in connection with its $3.3 billion hostile takeover bid for a Canadian public company. Represented a TSX-listed Canadian natural resource company in connection with a $53 million equity-funded acquisition of assets. Lead counsel on the design and implementation of a new forestry law construct to administer the Prince Albert Forest Management Area. 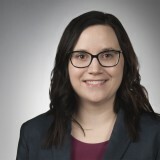 Represented public and private Canadian gold, uranium and potash mining companies in connection with permitting matters, including advice on approvals to operate. Represented Canadian potash companies in connection with water permitting approvals and associated agreements, and tailings facilities. Represented resource companies in connection with compliance with Species at Risk Act and recovery strategies, migratory birds issues, and water rights and related issues. Assisted government authorities to develop a results-based regulatory framework, and mining companies with responses to that framework. 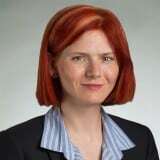 Represented Canadian mining companies in connection with environmental impact statements. Fond du Lac First Nation et al. 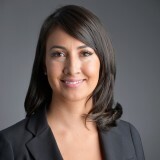 v. Attorney General et al., 2012 FCA 73; aff’g 2010 FC 948, representing a resource company in an application concerning the extent of the duty to consult First Nations on resource development issues. Areva Resources Canada Inc. v. Saskatchewan (Energy and Resources), 2012 SKQB 205, a successful judicial review application involving calculation of uranium royalties imposed by the Province of Saskatchewan. MLT Aikins is one of Western Canada’s pre-eminent law firms in the mining sector, providing deep business insight based on extensive domestic and international experience, wide multi-disciplinary expertise, and legal and service excellence. Our team of lawyers assists a wide range of major, intermediate and junior clients in Canada and overseas in all phases of the industry, from precious and base metals exploration, through project development, production and marketing. We combine broad experience in traditional debt and equity financing in Canadian, U.S. and international markets, mergers and acquisitions, joint ventures and strategic alliances with fresh approaches to corporate restructuring and alternative financing measures to address challenging economic times and declining commodity prices. Long a leading player in the potash, uranium and gold sectors in Canada (particularly in the Province of Saskatchewan), our experience extends across Canada to the United States, Latin America, Europe, Asia, Africa and Australasia. We assist our mining clients in meeting their corporate and social responsibilities in connection with corporate governance best practices, full and transparent disclosure, anti-corruption protection, sustainable development and CSR initiatives. We have significant experience in government relations at home and abroad and, as a trusted adviser to Canada’s First Nations as well as resource industry participants, we are well positioned to achieve results in resource negotiations that are of mutual benefit to all stakeholders. In the international arena, we have successfully assisted our clients in negotiations with international state-owned enterprises and dealing with the challenges of international resource nationalism. We have considerable experience in a wide range of resource industry litigation, (including successfully litigating many precedent-setting cases defining the nature of surface, royalty and leasehold rights).